The mukul myrrh (Commiphora mukul) tree is a small, thorny plant distributed throughout India. Guggul and gum guggulu are the names given to a yellowish resin produced by the stem of the plant. This resin has been used historically and is also the source of modern extracts of guggul. PARTS USED : Guggul is a tree which exudes a resinous sap out of incisions that are made in its bark. This resin has been used for centuries as part of India's traditional medicine called Ayurveda. - Guggul for Thyroid: Guggul improves thyroid function, increases fat-burning activity of the body, and increases thermogenesis or heat production. - Guggul as cholesterol medication: Guggul helps to lower cholesterol and triglycerides. It has been shown to reduce total cholesterol up to 30% in 3 months. Guggul’s cholesterol regulating properties are especially important in reducing LDL by 35% and increasing HDL by 20% in 12 weeks. - Guggul for Heart protection:Guggul decreases platelet stickiness and reduces risk of heart disease and stroke. 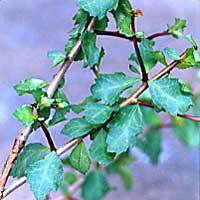 ACTIVE CONSTITUENTS: Guggul contains resin, volatile oils and gum. The extract isolates ketonic steroid compounds known as guggulsterones. These compounds have been shown to provide the cholesterol- and triglyceride-lowering actions noted for guggul.1 Guggul significantly lowers serum triglyceride's and cholesterol as well as LDL and VLDL cholesterols (the “bad” cholesterols).2 At the same time, it raises levels of HDL cholesterol (the “good” cholesterol). As antioxidant's, guggulsterones keep LDL cholesterol from oxidizing, an action which protects against atherosclerosis.3 Guggul has also been shown to reduce the stickiness of platelets—another effect that lowers the risk of coronary artery disease.4 One double-blind trial found guggul extract similar to the drug clofibrate for lowering cholesterol levels.5Other clinical trials in India (using 1,500 mg of extract per day) have confirmed guggul extracts improve lipid levels in humans.6 A combination of guggul, phosphate salts, hydroxycitrate, and tyrosine coupled with exercise has been shown in a double-blind trial to improve mood with a slight tendency to improve weight loss in overweight adults.7 One small clinical trial found that guggul (Commiphora mukul) compared favorably to tetracycline in the treatment of cystic acne.8 The amount of guggul extract taken in the trial was 500 mg twice per day. GUGGUL DOSAGE: Dosage recommendations for guggul are usually based on guggulsterones concentration in the extract. 9 A typical dosage of guggulsterones is 25 mg three times per day. Most extracts can be taken daily for 12 to 24 weeks for lowering high cholesterol and/or triglycerides.